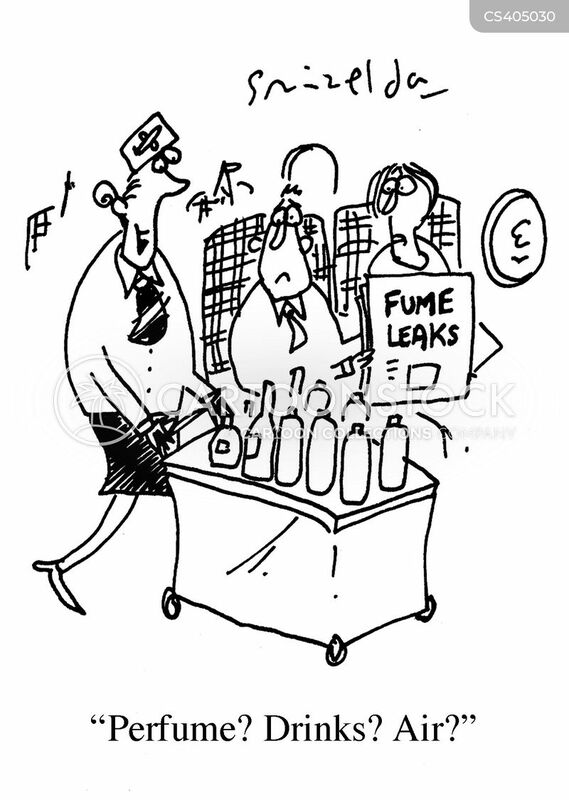 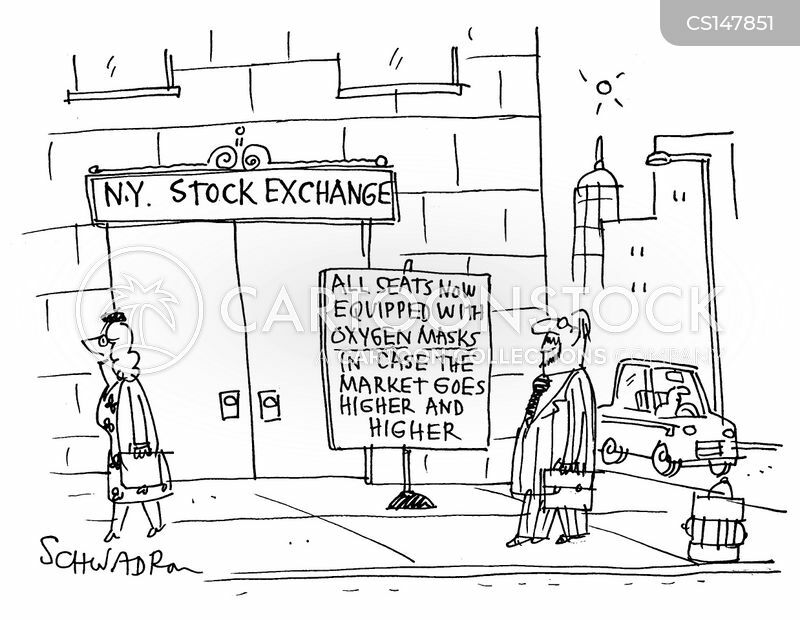 Market crashes and air bags and oxygen masks deploy. 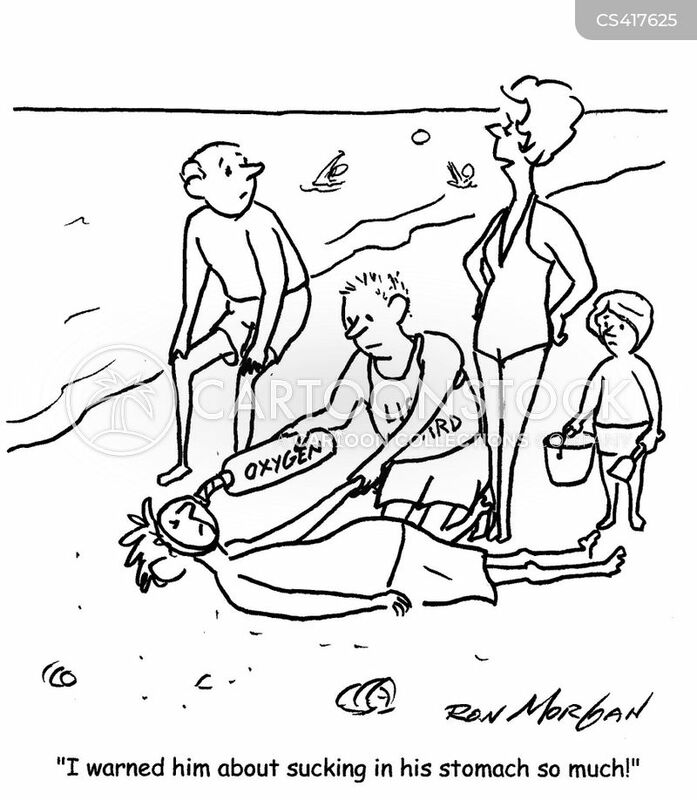 "I warned him about sucking in his stomach so much." 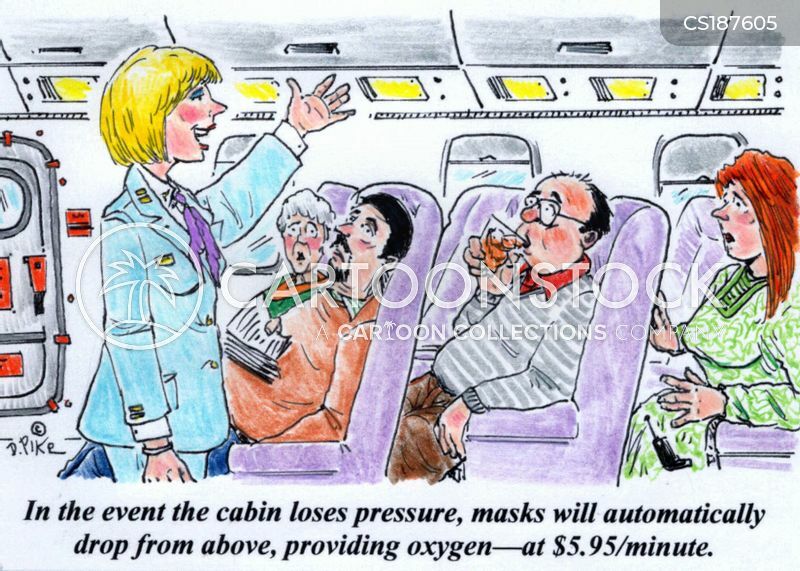 Jenny inadvertently set off the plane's emergency oxygen masks. 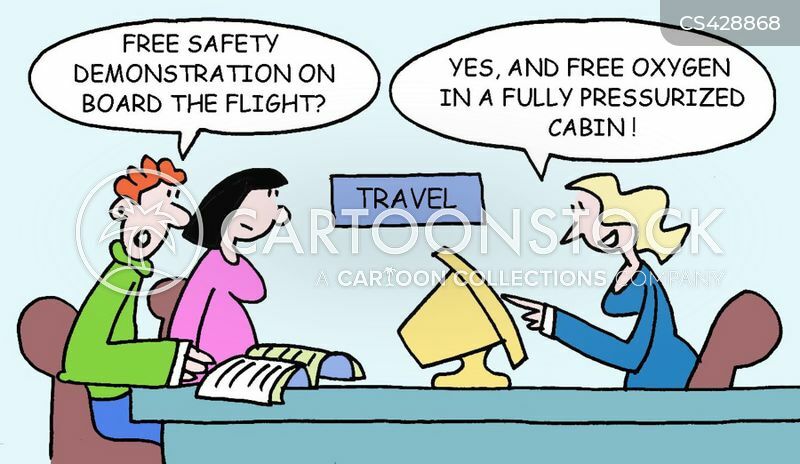 "Free safety demonstration on board the flight?" 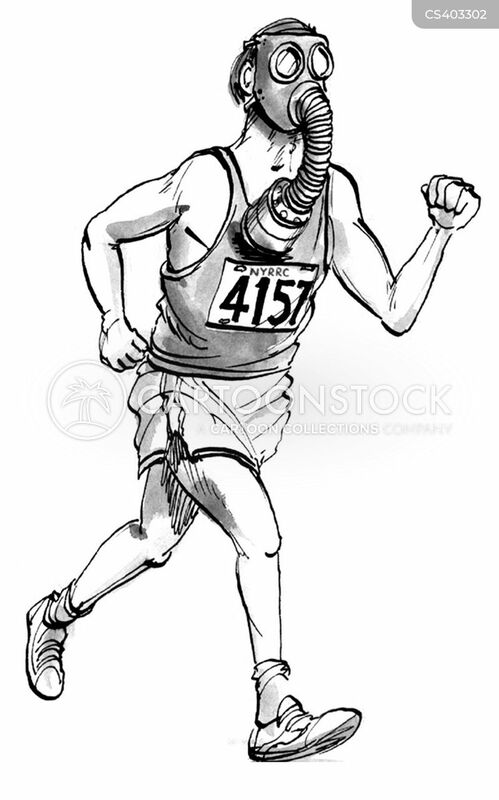 Runner wearing an oxygen mask. 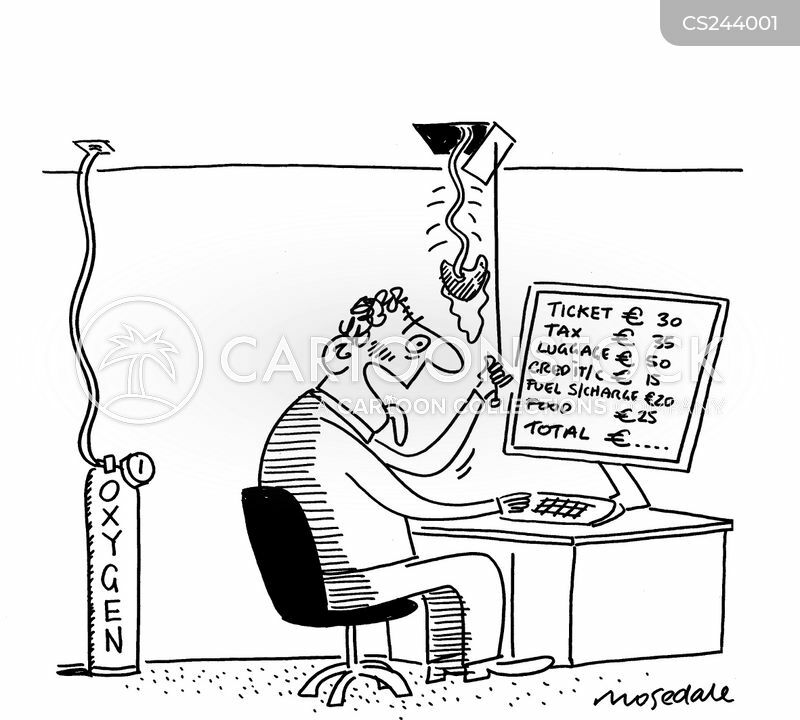 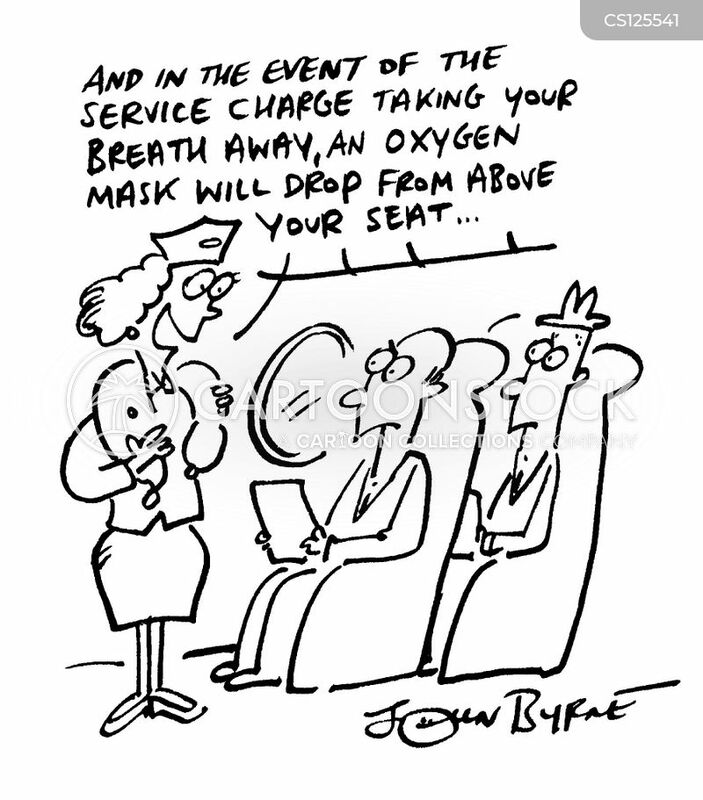 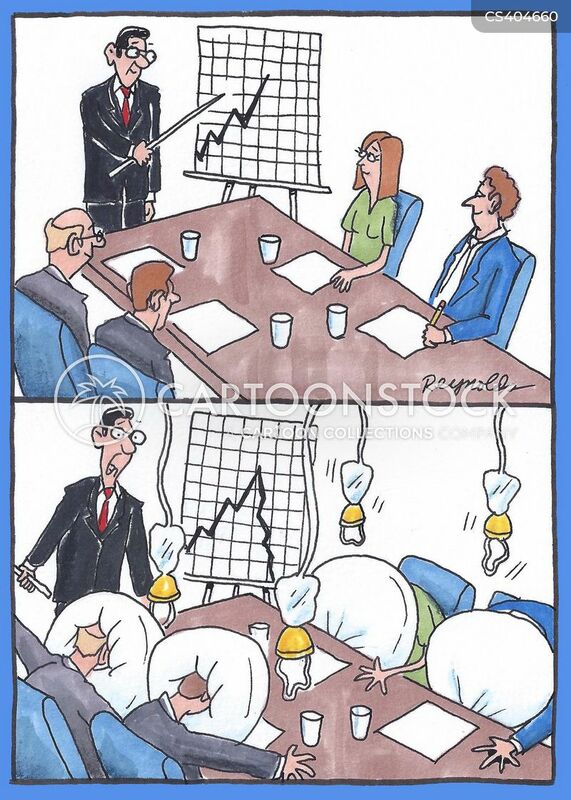 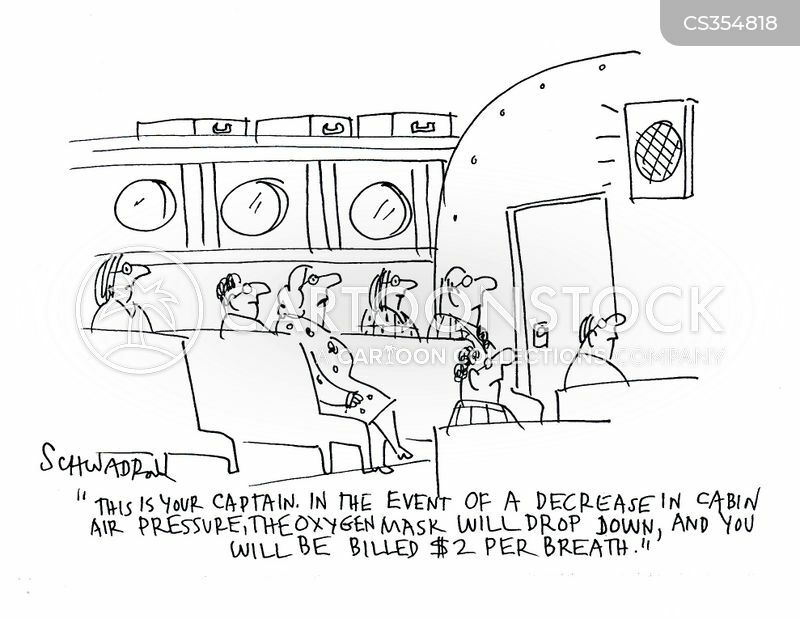 "And in the event of the service charge taking your breath away, an oxygen mask will drop..."
Stock Exchange - All Seats Now Equipped with Oxygen Marks in Case this Market Goes Higher and Higher. 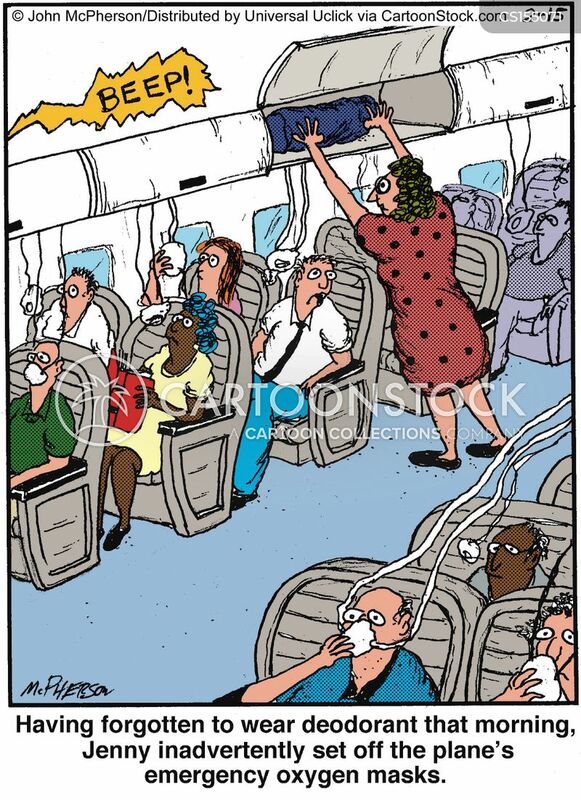 Man searching for cheap air fare needs oxygen mask. 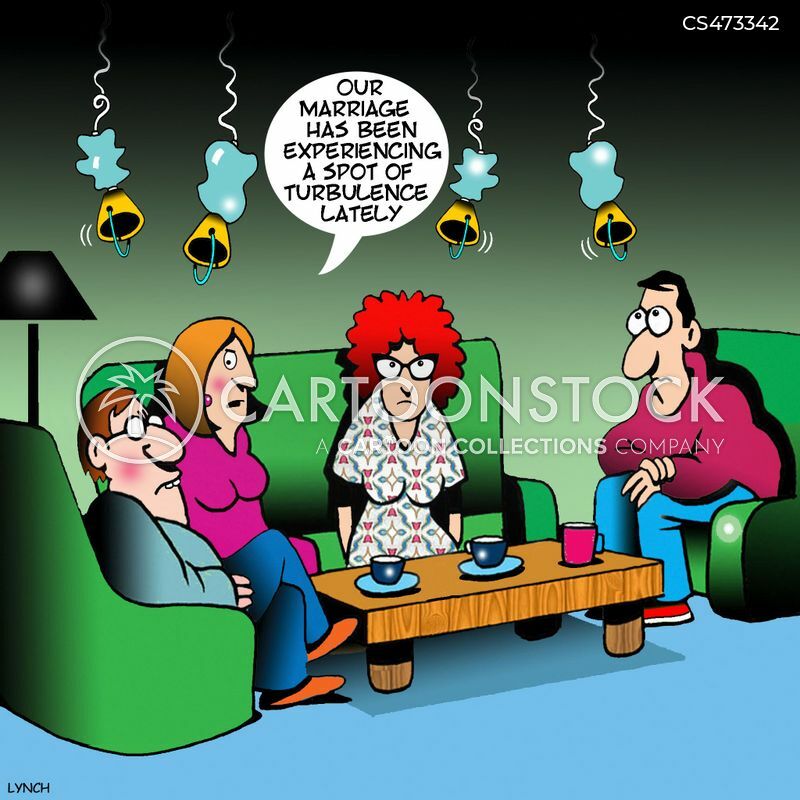 "Our marriage has been experiencing a spot of turbulence lately." 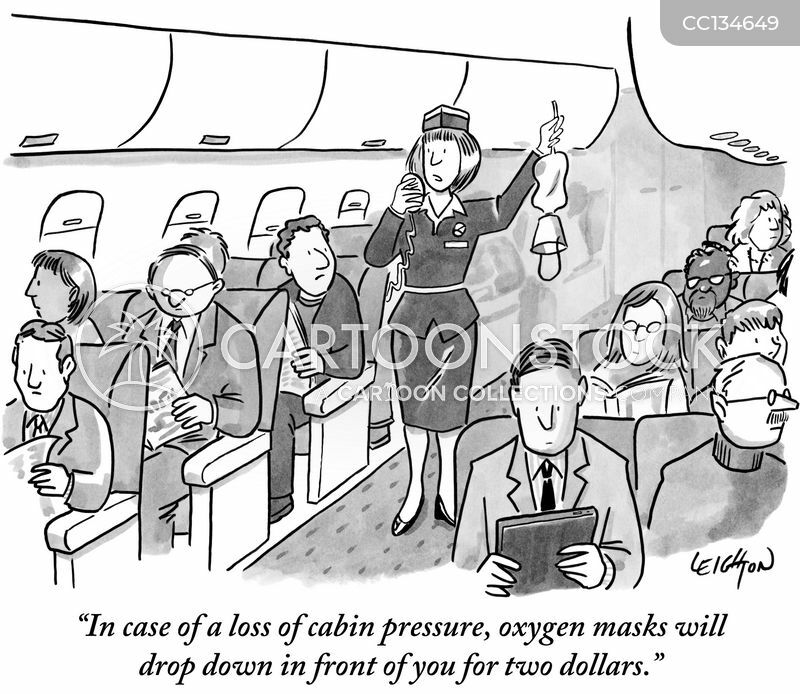 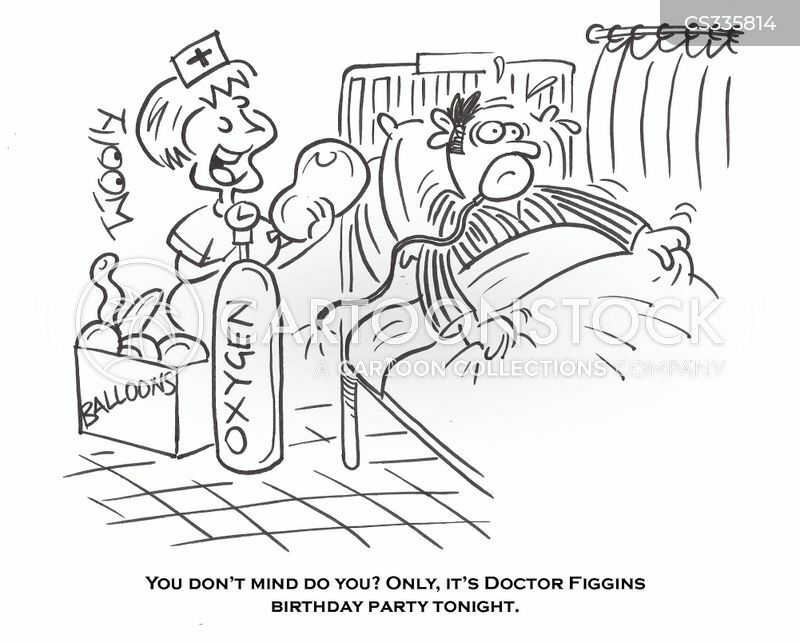 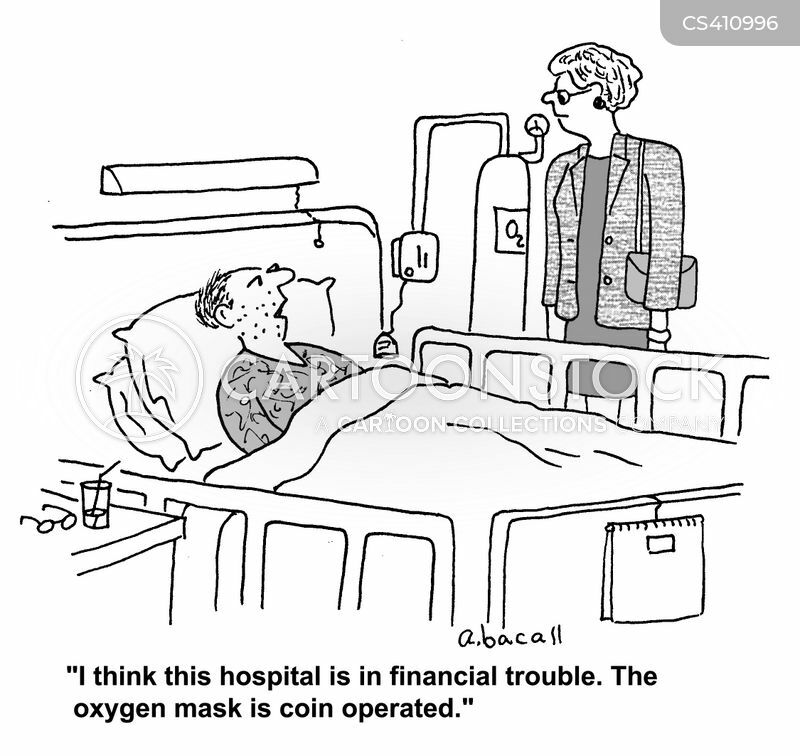 "Oxygen masks. 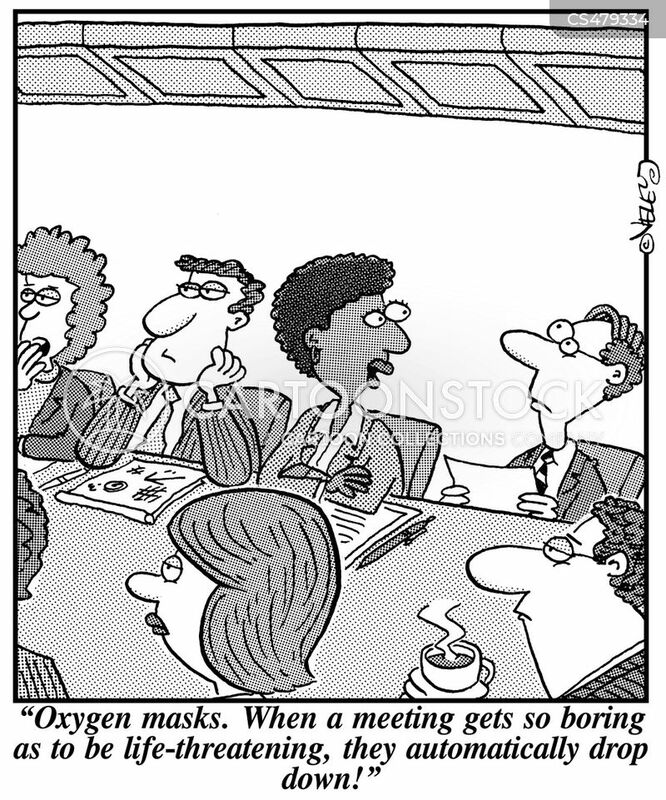 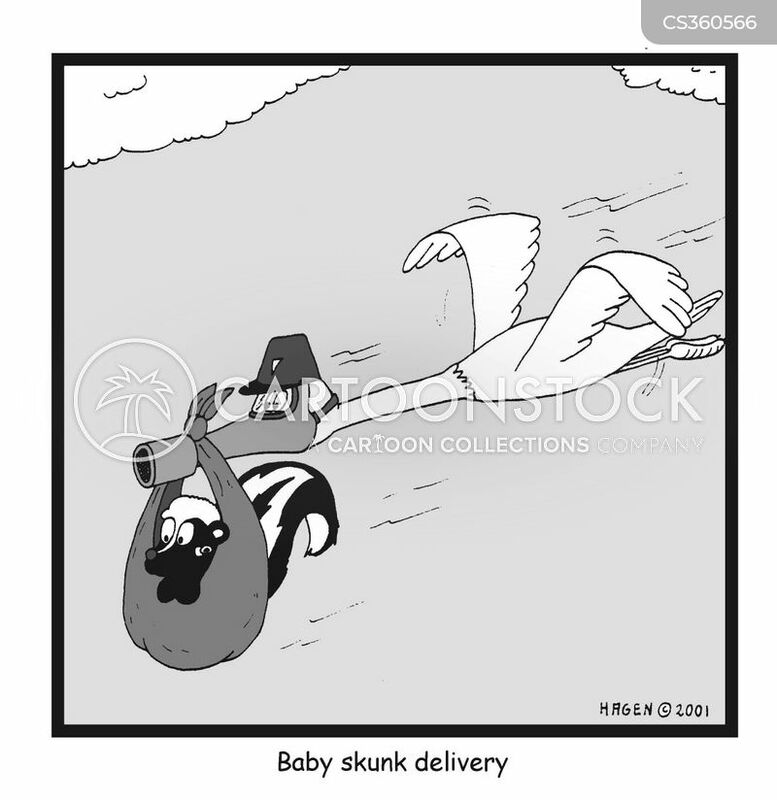 When a meeting gets so boring as to be life-threatening, they automatically drop down!" 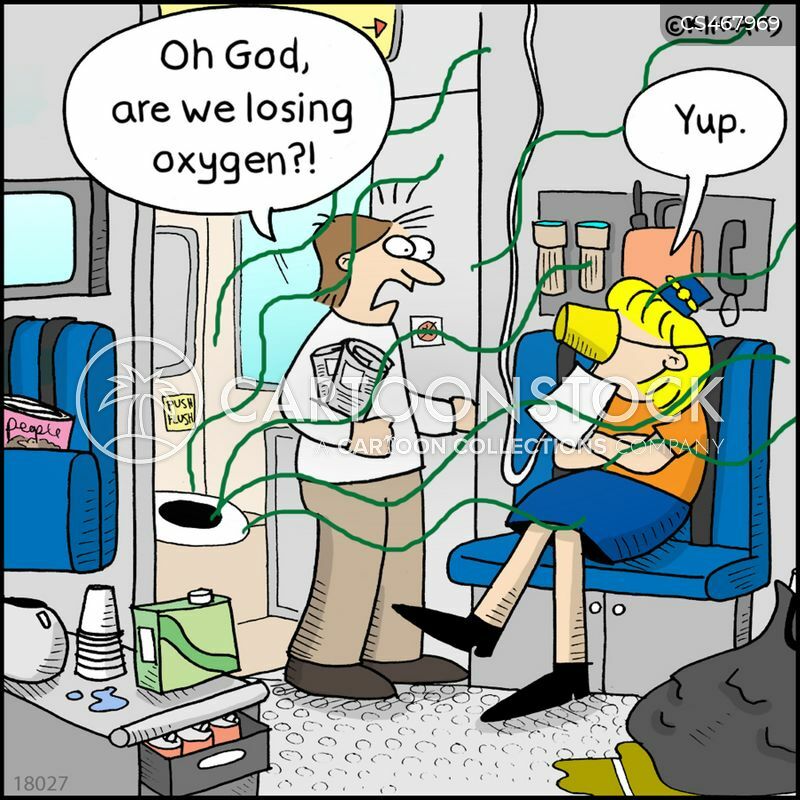 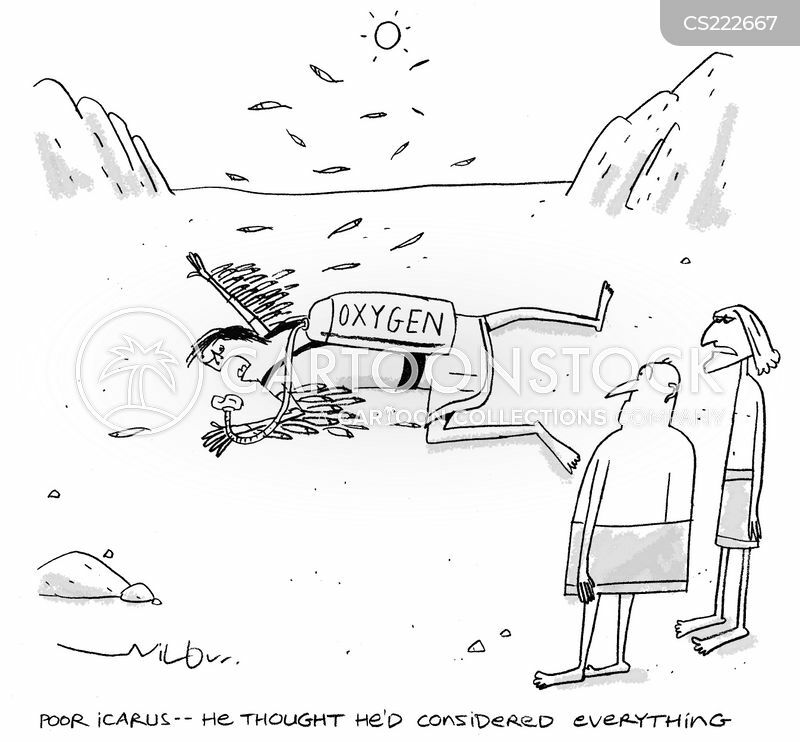 "Oh God, are we losing oxygen?!"